Secrets! 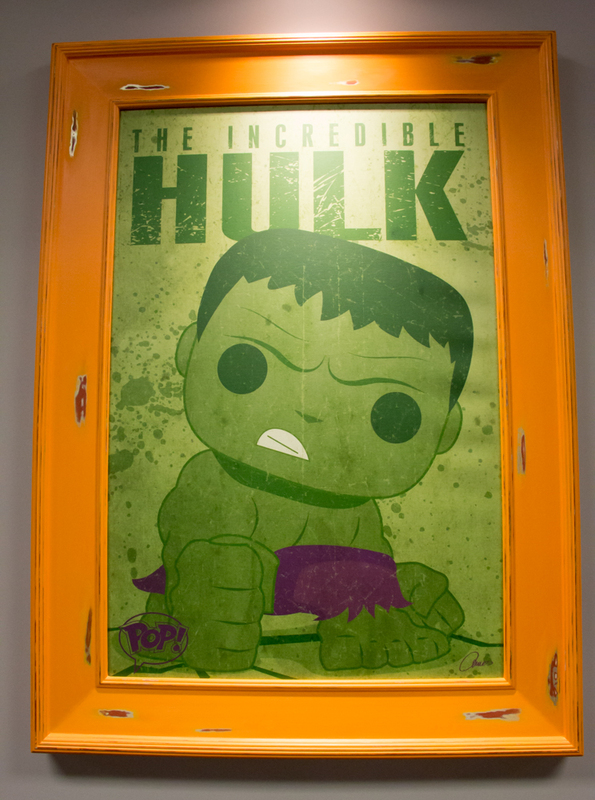 | Funko HQ Visit & Tour - i like comics too! Here’s the deal: I’m a big Funko fan. Big Funko fan. 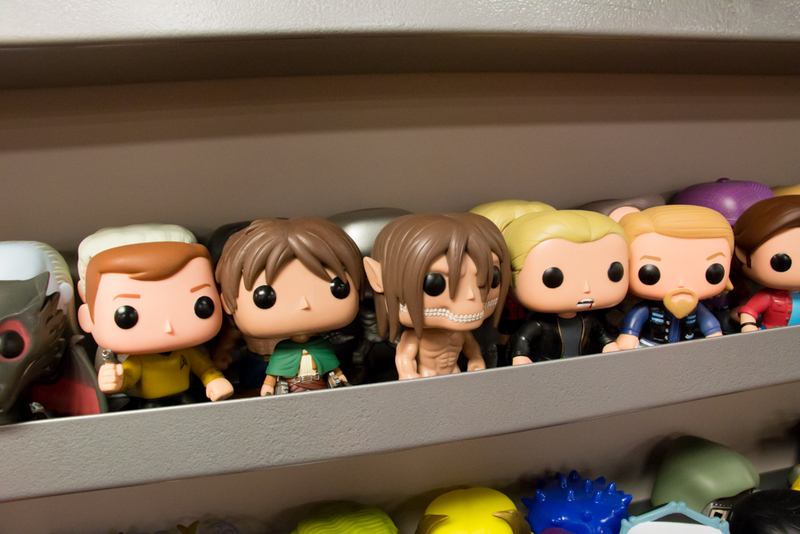 I have more POP!s than any one person ought to, and I am not ashamed. They’re adorable and addictive and I want all of them. 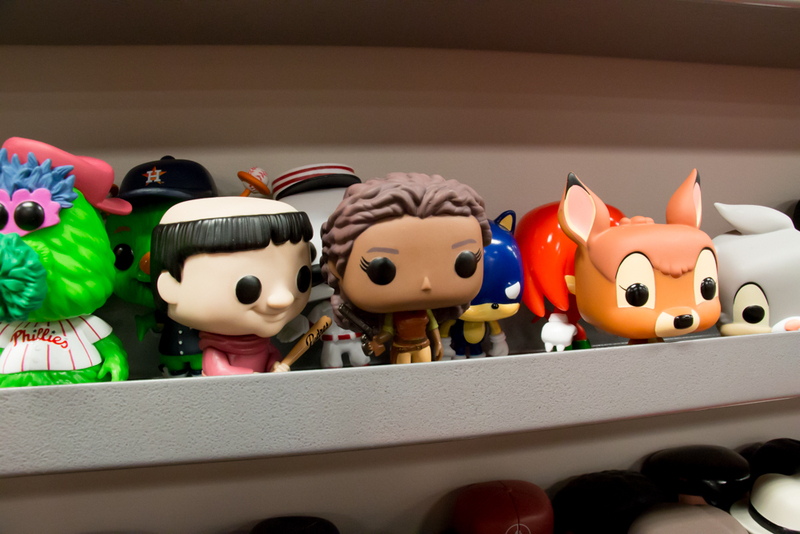 So when I given the opportunity to visit Funko headquarters in Washington, I may have lost my mind a little bit. Click through for a recap and lots of photos! 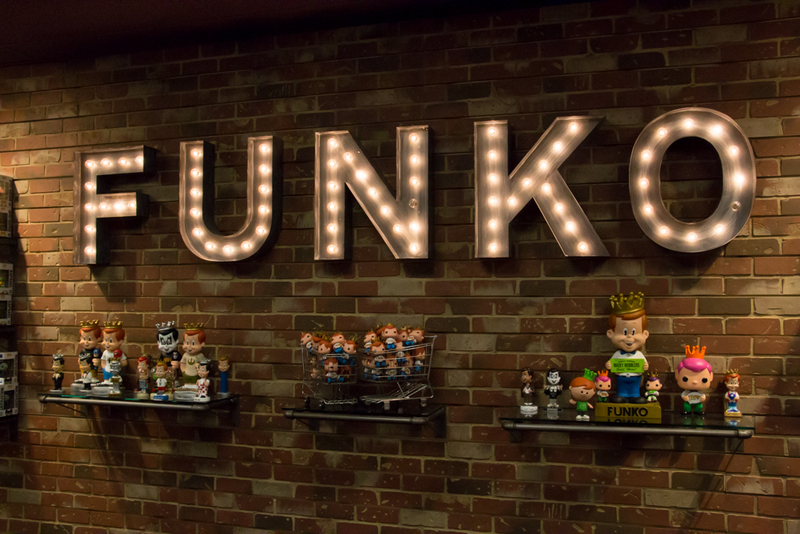 Disclaimer: I was not urged to take this tour or write the following about Funko. I’ve been a fan of the company for several years and, save for the gift from this trip, my collection has been amassed with my own money. First and foremost, I’d like to extend an enormous thanks to Allison, the sweetest marketing coordinator known to man and our tour guide for the visit! 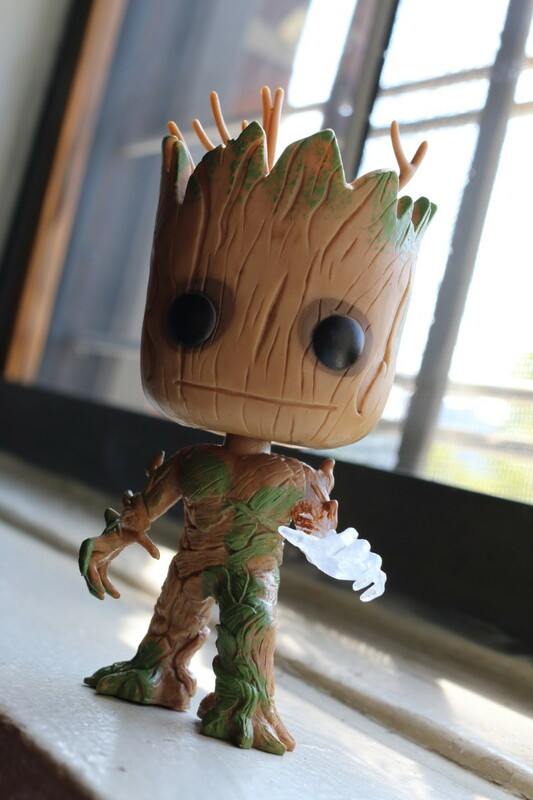 For those of you who have been hiding under a rock, Funko POP!s are pint-sized vinyl figures like the ones below. The company has access to an unreal number of licenses, stretching from comic book characters to retro cartoons, with more constantly added from film and pop culture. The expansive collection coupled with the uniformity of style make these little guys a dream for collectors like myself. 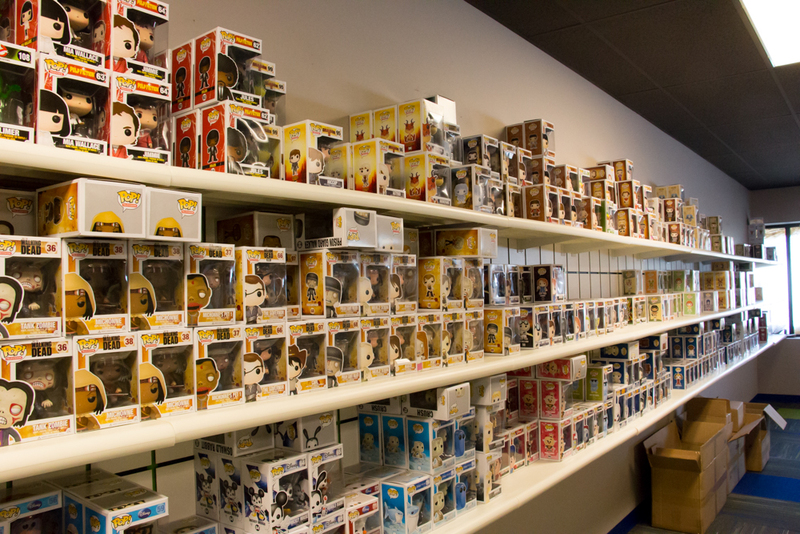 Of course, while Funko is probably best known for its POP!s in the geek community, its range of products is actually pretty expansive. The folks behind Funko started with bobbleheads or “Wacky Wobblers,” still produced today in conjunction with POP!s, and now cook up all sorts of merchandise including blind boxed figurines and plush “Fabrikations.” In fact, Funko has grown so much in recent years that it had to move offices and is now located a forty-minute-or-so drive outside of Seattle in the quiet Everett, Washington. 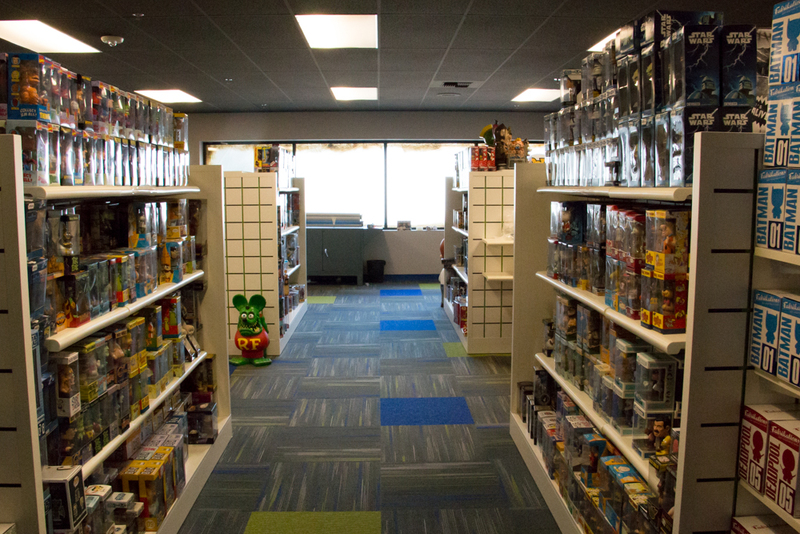 Funko’s roomy headquarters house both office space and a warehouse, which Allison says they are quickly outgrowing. 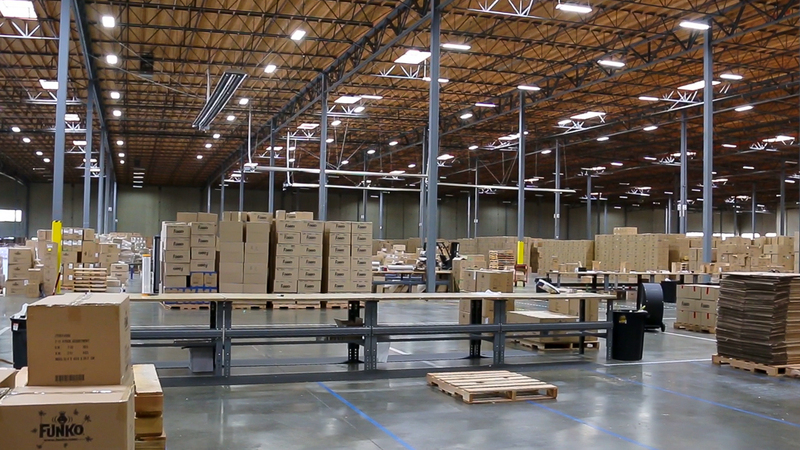 Fun(ko) fact: despite the huge scale of production, Funko only boasts about a hundred or so employees at this location. 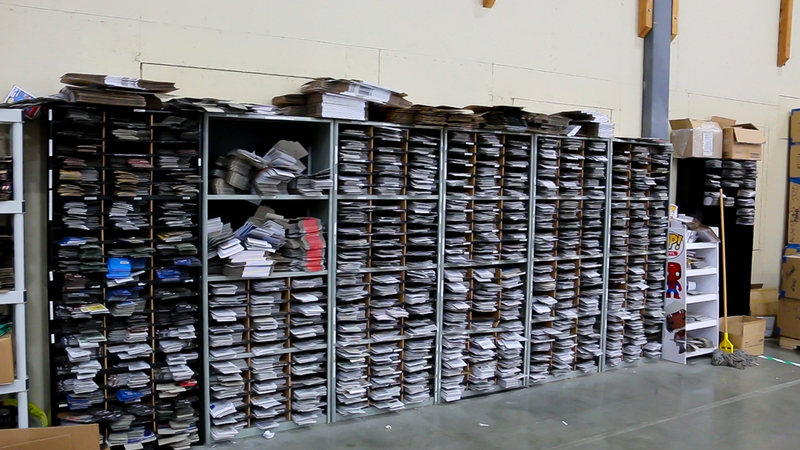 Just a few guys (plus a few temps) manage the warehouse inventory entirely by hand. Tucked away against a wall of the warehouse lives the spare box shelf, organized by franchise. If a retailer receives POP! boxes that were damaged during shipping, they can request character-specific replacements. I’ve never heard of any other company doing this, and I have to say I’m impressed. Though I can never bear to keep my figures in their original packaging (they must be free! ), I know more than one friend has passed over an item in-store because damaged packaging devalues it. Replacement boxes, therefore, are a win for both retailers and collectors alike. 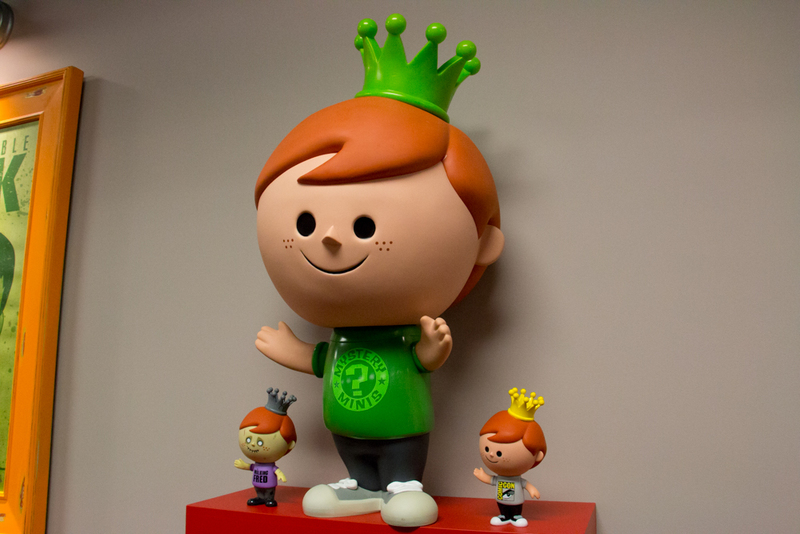 The offices themselves are wonderfully inviting, with brightly-lit orange walls lined with toys, artwork and company mascot Freddy Funko. Walking in you’re met with a POP! vending machine and super-sized figures, including the new Rocket friend I made. While I didn’t want to be rude and take photos of anyone’s desk, employee morale definitely seems to run high: more toys are perched on cubicle dividers and monitors, and everyone I interacted with greeted me with a smile. I was led through an enormous conference room (who wouldn’t want to talk business surrounded by toys? 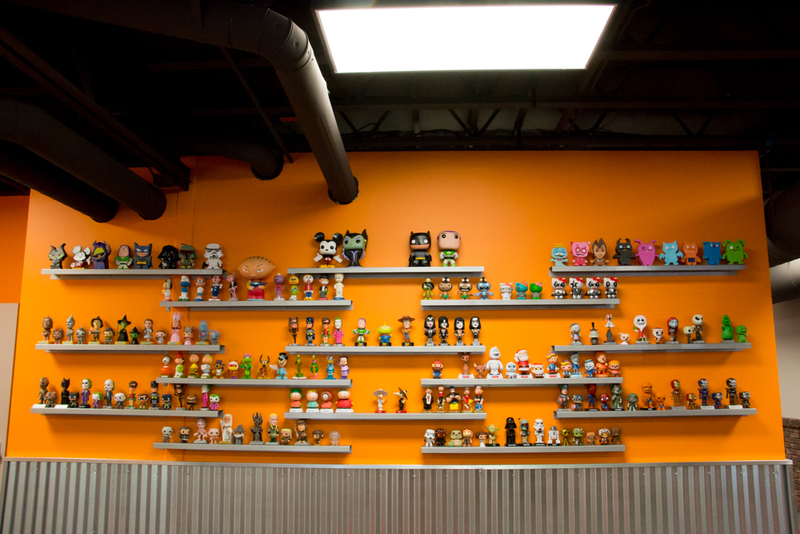 ), a space containing a number of artist concepts for future product lines (please develop all of them, Funko), an entire wall plastered with POP! models currently in development (Marvel and DC fans will be very happy in the upcoming years), a desk containing polished prototypes for upcoming releases and a storeroom stocked with just about every figure you can imagine (more on that later). Unfortunately, I couldn’t take photos of everything because much is still in development, but here is what I could take photos of! Note that some of these toys aren’t actually on sale yet, though Allison still gave me permission to post their images. As you can tell from the Chesire Cat figure mentioned above, Funko has really embraced the idea of retailer exclusives. They’re expanding this concept to even more retailers in the future, which can be frustrating to collectors… but Allison told me that the company is working to make such exclusives a little easier to obtain at San Diego Comic-Con, at least. Anyone who has been to SDCC knows what I’m talking about: even if you’re the first foot in the door on the very first day, lines for valuable exclusives can already be capped. This was the case for me last year, when I tried to nab a blood-splattered Rorschach POP!. Competing with other attendees is hard enough, but it’s the vendors that pose a particular problem because many take advantage of early access to the floor and start the line after setting up their booths. That in itself isn’t the end of the world, but some also buy exclusives in bulk to scalp on eBay later, an unfair process to the other attendees who paid full admission for the opportunity to purchase at regular price. Thankfully, Allison says that Funko is revamping the purchasing process for vendors at future Comic-Cons to avoid this problem, a move that I hope other companies will also take into consideration. Another fun(ko) fact: Batman is apparently the biggest seller, which makes sense given the character’s long history. Another really big seller, though? Daryl from The Walking Dead! He’s so popular, in fact, that he’s earned himself a number of POP! variants, including battle-damaged and poncho-wearing. The current CEO of Funko, Brian Mariotti, is a huge Hanna-Barbera fan, so you can thank him for all the POP!s modeled after your favorite cartoons from yesteryear. He actually has his own private collection in the offices, including a shelf in the storeroom. Thanks again to Allison, by the way, who let me snag a POP! from that storeroom after a lengthy ten minutes of exploring and trying to decide. I ended up going with the masked version of Marvel’s Winter Soldier. If you’re curious about my favorite POP! of all time, check out the video at the top of this page, starting at about 7:33. Warning: spoilers for Game of Thrones. 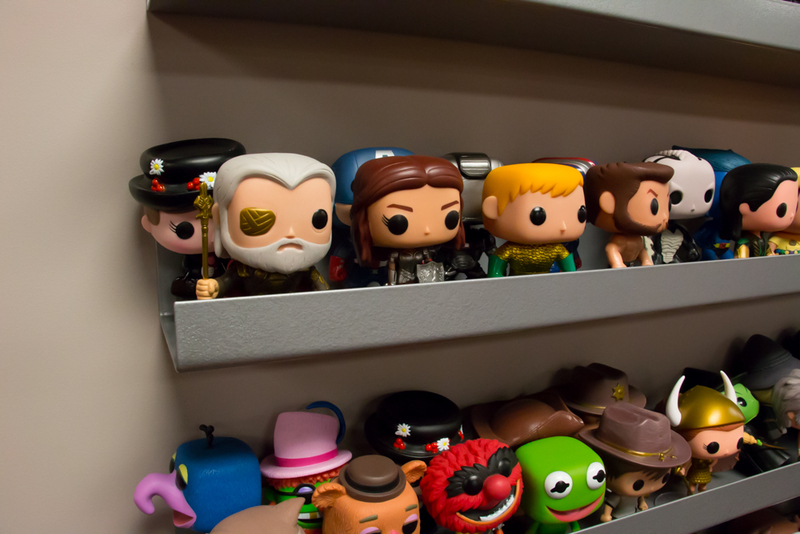 And that was my visit to Funko HQ! If you’re a fan of POP!s and the like, start pinching your pennies because there are a lot of great new figures in your future. 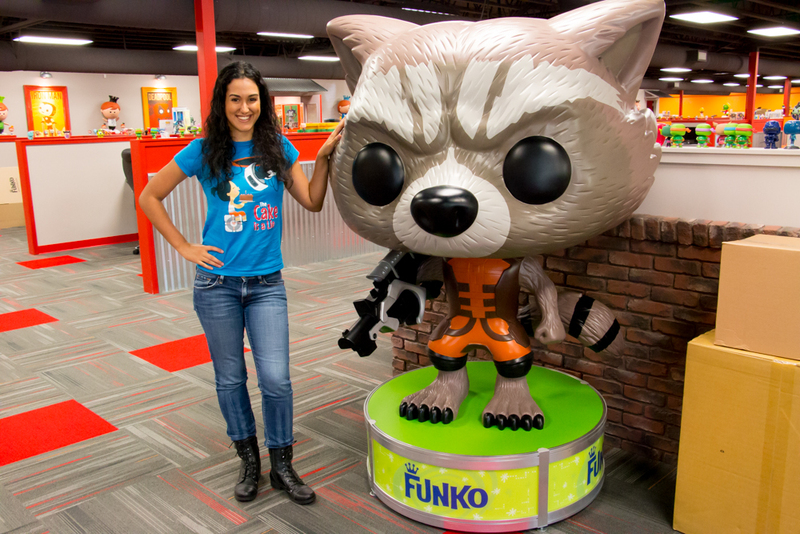 I’m especially excited about the Fabrikations line, because I’m a plush fanatic and desperately need to get my hands on the huggable Rocket Racoon on sale at the end of this month. 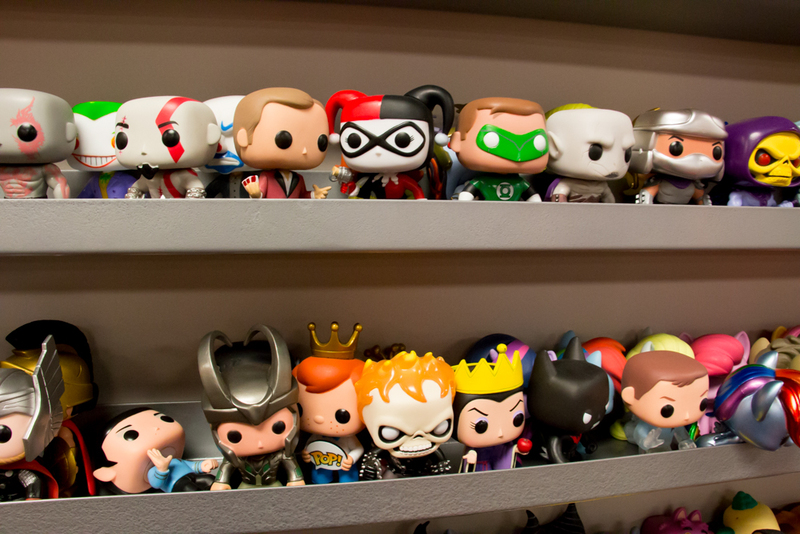 If you have any questions about my visit or want to share what your favorite Funko toy is, hit the comments below! Stay tuned for more on my adventures in Seattle, too, including PAX Prime coverage and city vlogs on my YouTube channel. ← ilikecomicstoo @ NYCC 2014! This is awesome! I’d love to visit them. I’m in the process of collecting all of the Walking Dead collectibles. I love them so much I even created a little animation/mock commercial for them. I’ve got a media Arts background and would love to get on their marketing team. Check it out, and let me know what you think. Hi, good work on the video. Very informative! I’m planning a road trip down to Everett from Vancouver. I’m looking forward to checking out the funko factory but I’m curious if you can purchase pops directly from the factory? Like is there some sort of store there? Thanks! Hey! There’s the “showroom” in the back, but I don’t know if any of the items there are actually for sale.